Michelle Madow: Waiting on Wednesday: Insurgent by Veronica Roth and Team Amity! 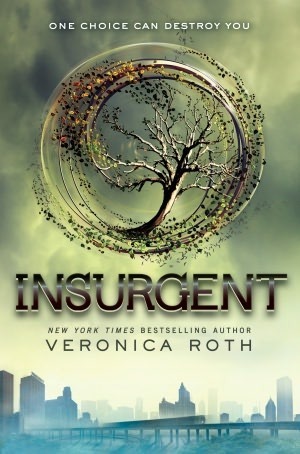 Waiting on Wednesday: Insurgent by Veronica Roth and Team Amity! "Waiting On" Wednesday is a weekly event, hosted at Breaking the Spine, that spotlights upcoming releases we're eagerly anticipating. I'm also proud to announce that on choosing day I chose to join the AMITY FACTION! 3) One of the main attributes of Amity is creativity -- as a writer, I have lots of that! 4) I believe the bravest thing a person can do is handle conflict with kindness, and work things out through conversation and understanding the views of others around them. 5) The Amity Faction seems to be a pleasant place to live. PLEASE CLICK THIS LINK TO SUPPORT AMITY IN THE FACTION COMPETITION! I'm crying thinking about the fact that I do not own a copy of this one yet. ;_; Great pick! Yay! 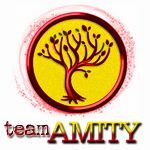 I think you are right about Team Amity. It would be a nice place to live with lots of friendly people. I know everyone is looking forward to Insurgent. Thanks for the WoW post.